Lately I’ve been making it a point to translate a small portion of each Japanese novel I’ve finished reading, for the purpose of polishing my Japanese to English translation abilities. I’ve already had some success doing translation on the side using Gengo, but much of that work is more everyday/functionali stuff (business emails, etc.) as opposed to creative translations which I enjoy more. Around a month ago I finished Jun Ikea’s “Downtown Rocket” (下町ロケット) which I reviewed here, and from the start I knew that I had to try translating the prologue which was especially exciting. One thing that is nice about translating the first chapter or beginning part of a novel is that often the author will put in extra time to make that part just perfect; after all, that is what will often determine if people will actually buy their book, whether they were browsing using a physical book or an E-book. While the prologue does contain a few technical terms (like 振動数超過, which you are unlikely to hear in daily conversation), these were actually not as difficult to translate as I originally thought. The reason is that it isn’t the technical details that matter, it’s the character’s feelings and the meaning of the events that transpire. For example, I spent a great deal of time just on the phrase ”(彼の) 胸は緊張でいまにも張り裂けんばかりだった” which is used to describe a character’s emotional state, because this doesn’t have a direct parallel in English that doesn’t sound cheesy (literal but awkward: “His chest felt as if it was about to burst from nervousness”). This relatively short chapter only took me a few hours to do an initial draft translation, but I ended up iterating again and again to round off the rough edges and make the phrasing more natural. I think by the end I had went through the entire text at least 8 times. I also took several day-long breaks between some of these iterations which gave me a fresh perspective on things. Just to make it clear, this is a completely unofficial fan translation, in no way endorsed by the author Jun Ikedo or Shogakukan. 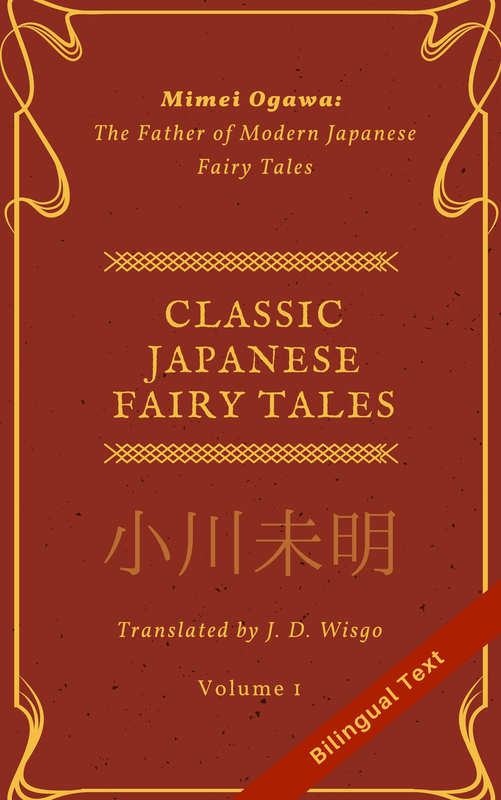 If you like this and know Japanese (or are studying it), please consider buying the novel here. I don’t know of any plans for an official English translation, but it seems possible given how popular the book and drama has been, and the fact a sequel has recently been released. While I seriously doubt I would ever translate this whole book (unless by some miracle Shogakukan asked me to do this), if you are really interested in reading a little more let me know by leaving a comment or liking this post, and I will consider translating another chapter or two. I won’t be putting any of the original Japanese text here, but if you want to get a feel for the Japanese you can see this link where someone has put the first page online. Takashi Mikami’s strained voice stood out in the tense air of the launch control tower. Mikami’s colleague Kouhei Tsukuda glanced at the live feed of the launch pad on the monitor, checking the wind speed displayed along its right edge. The strong winds hadn’t let up, maintaining a speed of 15 meters a second. Shortly after this announcement blared on the speakers throughout Tanegashima Space Center, the countdown began: “T-minus 480 seconds, 479, 478…” Kensuke Motoki, head of Japan’s Space Science Exploration Agency, took up position in the control tower’s last row of seats. Motoki, serving as both rocket scientist and professor for The University of Tokyo’s Institute of Aeronautics and Space, was the mission manager for this experimental satellite launch. They all stared at the monitor in silence. The skyward-facing rocket resting on the launch pad looked almost too perfect, as if it was a prop from the set of a Godzilla monster movie. Tsukuda gazed at the rocket, a tightness in his chest making it difficult to breathe. “Siren” was the codename of the newly-developed engine for this experimental satellite launch rocket. Taking its name from a sea creature of Greek mythology, Siren was a large-scale hydrogen engine with a new control system onboard. It was no exaggeration to say Siren was the embodiment of all Tsukuda’s hard work in the research lab. Development of this engine had taken him a total of seven years in college, plus an additional two years after he became a researcher for The Space Science Exploration Agency. Siren, the result of much trial and error, was a key benchmark being tested at this launch that would hopefully pave the way towards realization of a commercial rocket. However, the politics involved in getting this engine onto the rocket was no trivial matter. Even as a research vehicle, launching a large rocket into space costed upwards of a hundred million dollars. Because this entire amount was funded by the national budget, a hypothetical failed launch would likely incur the wrath of the tax-paying public. There had been some concern because an abnormally high frequency was observed during two of the eight engine combustion experiments conducted. One could make the point that this was after all an experimental device, and this type of behavior wasn’t unheard of for a rocket engine. Nevertheless, for whatever the reason, if the engine failed on launch day Kazuyoshi Oba, the one who made the decision to use it despite these abnormal test results, could very well be held responsible. But Oba strongly believed in Tsukuda’s passion for this hydrogen engine and–more importantly–the technology behind it. Wanting to meet Oba’s expectations was only one of the reasons Tsukuda couldn’t afford to fail. He needed to make this experimental launch succeed at all costs. Tsukuda pushed aside the many fragmented thoughts running through his head and became aware of the countdown again. Less than a minute remained before launch. On one of the monitors which had just switched camera angles, evaporated liquid oxygen began to flow around the base of the rocket like a white cloth. The countdown announcement felt as if it permeated deep into Tsukuda’s skull. After the announcement, the beginning of the water discharge was visible on the monitor. The countdown had already passed the 10-second point by the time Tsukuda, eyes pressed tightly shut, heard the announcer’s voice say “Flight mode on”. At that instant, Tsukuda opened his eyes. Just as the announcer’s voice–monotone up until now–suddenly became animated, flames burst out of the first stage rocket engine with a terrible roar. Siren, we’re counting on you! Tsukuda said a silent prayer. Fly baby, fly! Siren emitted bright orange flames as white smoke billowed around the launch pad and the 30-ton rocket was propelled upwards. “Go! Go!” Mikami balled his fist and let out a yell. As Tsukuda watched, the rocket distanced itself from the launch pad and quickly became a mass of flame as the camera tracked it upwards. From there, the rocket continued on its scheduled path into the southeastern sky above Tanegashima, gradually shrinking to a tiny point. Tsukuda quickly gave up following the rocket with his naked eyes and shifted his gaze to the flight path trajectory shown on the radar screen. “Thats right, atta girl!” Mikami screamed with excitement. He and Tsukuda intently stared at the rocket’s trajectory as they prayed for a good flight. That was when Tsukuda realized something was wrong. The printout spewing out of the main plotter indicated the rocket had begun to deviate from the planned trajectory. Mikami’s face turned pale and he scrambled to check the data on another plotter. In the midst of the control tower’s growing uproar, Tsukuda stared speechless at Siren’s abnormal trajectory coming out of the plotter. The researchers rushed to their respective stations. Amidst the commotion, the voice coming from the speakers continued with the scheduled flight plan. Tsukuda’s mind went blank and before he knew it, his hand was gripping the intercom control tightly. Oba was on the other end, several kilometers away in the central command tower. “Sir, we have a flight abnormality!” Tsukuda screamed into the microphone. Oba would have already been watching the rocket’s abnormal trajectory on a monitor in the central command tower even before Tsukuda had reported the problem to him. The post-launch counter displayed in the top right of the nearby monitor continued to rise. 187, 188, 189…… By now the rocket, having lost control due to insufficient altitude, was flying nearly horizontally above the Pacific Ocean at close to the speed of sound. A thick silence hung in the room only for a brief moment before it was broken by Oba’s calm voice. There was no time to consider the implications of his announcement, let alone get absorbed in feelings. This was a self-destruct order. Oba’s announcement was broadcast simultaneously on the intercom and the speaker system, and the final command sent only an instant later via the safety management team’s communications system. The countdown on the monitor’s screen stopped, engulfing the control tower in a dead silence. 212 seconds after launch, Siren returned home–to the sea.